The 12lbs-80lbs models max weight capacity is the weight purchased. The 100lbs-140lbs max weight would be 140lbs. Empty pockets can be filled by purchasing weights later on to fill the weight vest if needed. 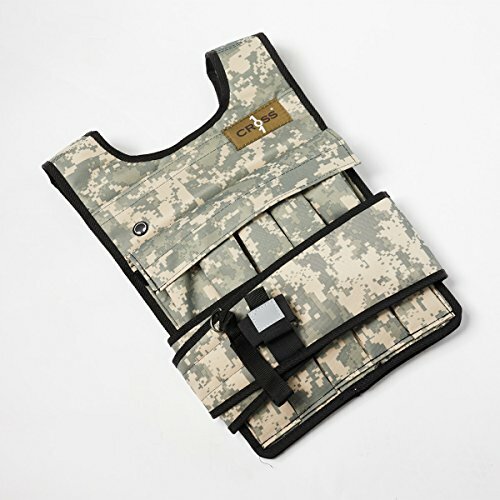 The Cross101 adjustable camouflage weighted vest is a great way to add resistance to your workout. This is a great vest to start your cross training, strength training and anything else you will need a weight vest for. If you have any questions about this product by RUNmax, contact us by completing and submitting the form below. If you are looking for a specif part number, please include it with your message.